Deadline reports Discovery Channel will premiere its Manhunt: Unabomber TV show on Tuesday, August 1, 2017 at 9:00pm ET/PT. 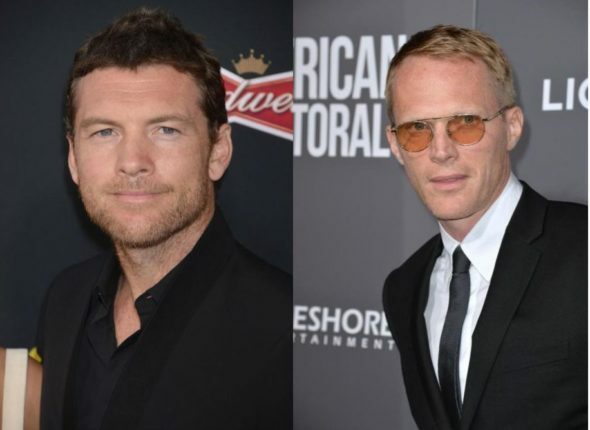 The scripted drama stars Sam Worthington as FBI agent Jim “Fitz” Fitzgerald and Paul Bettany as Ted Kaczynski. The debut episode is a two-hour special. A scripted drama series from Kevin Spacey’s production company, Trigger Street Productions, Manhunt: Unabomber was originally ordered under the title, Manifesto. The Discovery cast also includes: Jane Lynch, Chris Noth, Keisha Castle-Hughes, Mark Duplass, Lynn Collins, Jeremy Bobb, Katja Herbers, Brían F. O’Byrne, Brian d’Arcy James, Elizabeth Reaser, Trieste Kelly Dunn, and John Berchtold. Manhunt: Unabomber explores how Agent Fitzgerald used a radical intelligence gathering approach, in order to catch Kaczynski. Andrew Sodroski created the series and executive produces with showrunner and director Greg Yaitanes. The Manhunt: Unabomer release date was announced today at Discovery Channel’s upfront presentation to advertisers. What do you think? Do you like the sound of the Manhunt: Unabomber TV series? Do you plan to check it out, when it premieres this summer, on Discovery Channel? More about: Discovery Channel TV shows: canceled or renewed?, Manhunt, Manhunt: canceled or renewed? Wonderful show hope it continues. Didn’t seem to have an ending? Best on tv. I watch it over and over. Fantastic cast. Each portrayal is believable. I will be sad to see it go.